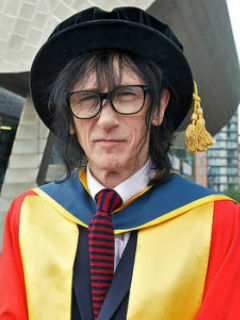 Potential bad hair day, for John Cooper Clarke. Capably carried by ya man Johnny Green. “How man, Johnny!” was the gist of the shout.